Planning permission has been secured for the revised reclamation of Maltby Colliery in Rotherham and a scheme that will see the Green Belt returned into woodland and grassland. Owned and operated by Hargreaves Services plc, the 500 acre colliery was mined for over 100 years until geological conditions could not be overcome and underground operations ceased in 2013. It had been expected to continue coal production until 2025 but the winding tower was brought down in 2014 and the mine shafts have been filled and capped. With the sudden closure, the future restoration scheme, included in the planning permission for the mine's operation, was re-examined. Heading to planning board last year, the decision notice was published earlier this month for a revised scheme that will involve cut and fill operations and the importation of 1.32 million tonnes of suitable fill material and 150,000 tonnes of soil making materials. Estimated to take six years, it is proposed to progressively restore the former colliery tip to beneficial after-uses, including amenity grassland, agriculture, public access and nature conservation enhancement areas, and temporary ancillary and associated activities. Lagoons are set to be filled and the peak height of the tip would be approximately 140m above sea level, compared to a maximum of 160m in previous plans from 2010. 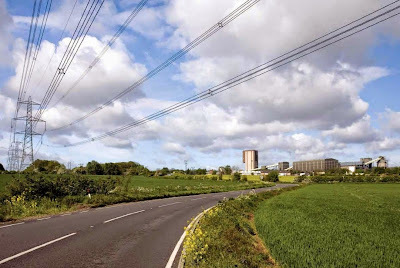 2014 plans were refused by the members of the planning board who felt that the importation of material represented inappropriate development in the Green Belt, as it did not relate to the material produced from the Maltby Colliery, and that the HGV vehicle movements resulting from the development would be detrimental. In this case the planners agreed that the restoration will bring many positive benefits and that "very special circumstances" exist to warrant the grant of planning permission for this development in the Green Belt in this instance. The plans envisage a worst case of five to six HGV arrivals per hour (or ten to 12 HGV movements) whilst material is being imported. The planners state that this is "very similar to the traffic movements generated by the colliery when it was operational." Conditions on the planning permission mean that the importation of materials shall only be delivered between the hours of 0700-1900 Mondays to Fridays and 0700-1300 on Saturdays with no operations on Sundays and Bank Holidays. Measures to improve visibility in both directions out of the site access to the A631 (Tickhill Road) will also need to be approved and carried out. Rothbiz has previously reported on Hargreaves plc identifying the industrial area of the Maltby site for development. Through the local plan hearings, the company has suggested that land at Maltby could be suitable for lower density uses, "including potential use by an aggregates business, construction firm or other larger scale occupiers."